Living as an outcast is hard. Living in fear of becoming an outcast is harder. A story based in an Equestria that upholds more traditional values in regards to social issues. Beset by the pressures of her coming-of-age, Sweetie Belle has secretly been turning to video games for relief from her insecurities. 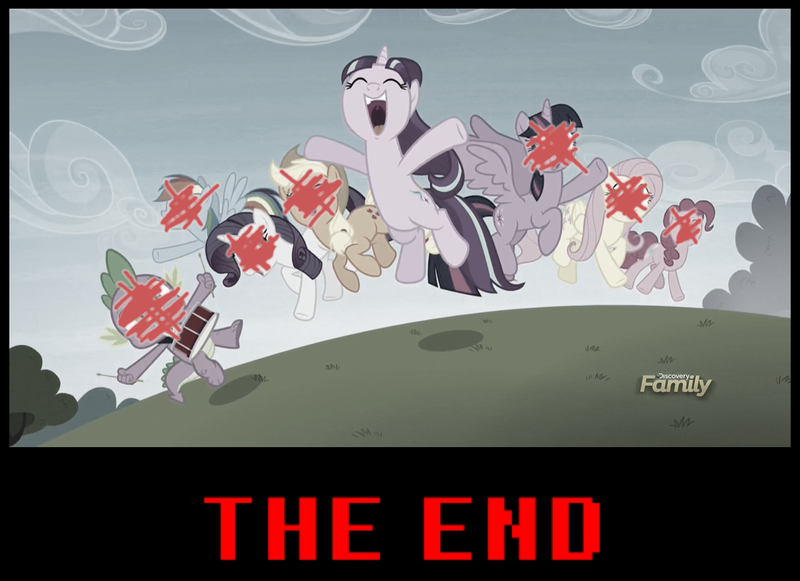 But when her unparalleled gaming talent earns her a cutie mark she never asked for, her life is thrown upside-down. A teenage Sweetie has grown tired of her older sister's verbal abuse, in a desperate attempt to feel normal once more, Sweetie turns to her family for support. Only to soon find out, she's nowhere near the favorite daughter. Finding herself in a new cycle of growing abuse, with only one way out. I can’t help but be reminded of the pacifist genocide ending of undertale when looking at the picture, I think I may have a problem with looking for undertale references in everything. Lol, don't blame you, UT was a great game. My life flashing across my eyes in a technicolor rainbow of emotions, my world resetting from the beginning. When I first entered hell. Gee, I wonder how this story's going to end. With nopony to call her out on it, I found myself enduring day after day of torture. You just made my day...with word play. Ty Blue, how's University going? MORE!!! I WANT MORE!!! I LIKE IT!!! PLEASE DO MORE!!! Almost have another chapter complete. Ok...ow...my heart hurts alot now! but still this is good, well for a sad story...I think...are you making a horror story or a sad story? ether way keep up the good work! Currently got exams coming up. Fun! Do you have a update schedule? If not, thats fine I was just asking. This story is a realllly good read, defenently on my favorites list, keep up the good work. I have a bit of a busy work schedule, so I just get what I can out. But as soon as I get a stable pattern going, I'll totally post up a writing schedule like in a blog. Ty, it means a lot! I pray it all goes smoothly!